TBT stands for Throwback Thursday. It's one of the most widely used hastags on social media. Throwback Thursday is the name of a weekly social media posting trend and hashtag game that people from all over the world use online to share and look back fondly on some of their favorite memories—hence the "throwback" theme. In this case, the "throwback" component of a post can apply to almost anything that happened in the past. On Thursdays, anyone can participate in the Throwback Thursday trend by posting content on social networking sites like Instagram, Twitter, Tumblr or Facebook to reminisce about a past event. Posts can include content (usually photos) from years ago or from just a few days ago. There aren't really any limitations, and even though it can be fun to participate in, it really just gives people an excuse to post more about themselves. Throwback Thursday is an extremely popular trend on Instagram, and users often tag their photos with a variety of hashtags like #TBT, #ThrowbackThursday or just simply #Throwback. Adding these hashtags can help get photos more exposure from a wider audience of people who are searching through those tags. 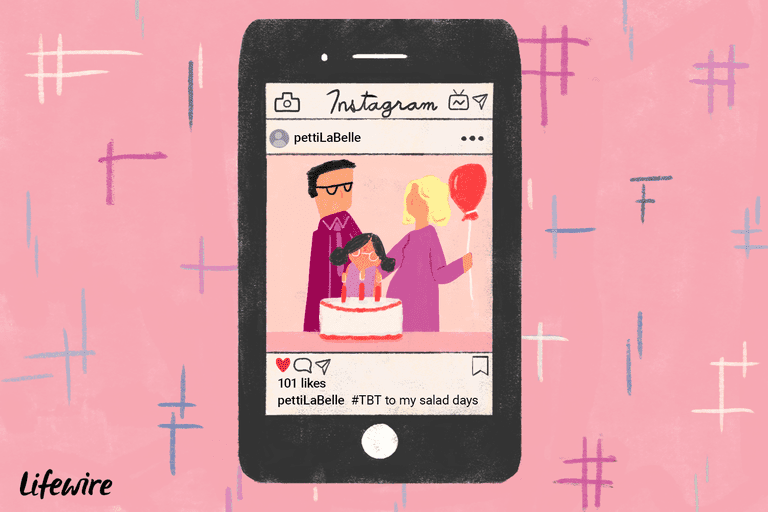 You might find that a lot of users on Instagram and even other social networks take advantage of the popular #TBT hashtags by filling them with spam or unrelated content in hopes of gaining more likes and followers. When you go ahead and search through the content posted in the #TBT or #ThrowbackThursday hashtags anywhere online, you'll probably stumble across tons of posts that have very little or nothing to do with the "throwback" theme. Why Is Throwback Thursday so Popular? People love to get nostalgic about their childhood, old friends, relationships, pop culture trends that are long gone, past trips or vacations and all sorts of other things that bring back happy memories. People often love to post about themselves too since it attracts attention in the form of likes and comments. Social media is used for sharing our lives as often as possible as events happen to us, but we'll take any excuse to reminisce about the old days and the good feelings that come with it. A strong emotional response acts as a catalyst for social sharing, so it makes sense that your most beloved memories of the past are among the things you love to share the most—even if it only matters to you, and nobody else. Believe it or not, the first use of the term Throwback Thursday dates farther back than the rise of Instagram and even social media as we know it today. According to Know Your Meme, it was first entered into the Urban Dictionary in 2003. Until around 2010 or 2011, the term had been used by a number of people and groups of individuals casually for its retro theme, but it didn't become the big trend we know of and love today until about 10 to 12 months after Instagram had come into existence (around November of 2011). You don't have to be a social media superstar or have thousands of followers to get in on this trend. All you need to do is find something about the past that's relatively interesting to post about, and tag it with #ThrowbackThursday, #Throwback or #TBT. Old photos of you from your childhood. This is a big trend and it's something that everyone can do. If you're an adult, you probably have at least a few fond memories of being a kid, so post an old photo that brings back some good memories and tag it. An old song that takes you back in time. Photos are the most popular content to share for this trend, but songs are not far behind. People love to share songs from decades ago that evoke a strong sense of nostalgia. Post a screenshot of what you're listening to or just simply share the YouTube link to the music video. Screenshots of old Facebook status updates or tweets. Here's a new one. Social media has been around long enough that we can now look back on some of the crazy things we used to post online all those years ago. Timehop is a great tool for checking out what you posted a year ago. Need more suggestions? Here are 10 ideas for Throwback Thursday posts when you're drawing a blank. Thursday is one of the most popular days of the week to post on social media, showing higher activity and engagement rates across several popular social networks. If you want to know more about when to post on social media, check out our articles one the best times to post on Facebook, Twitter and Instagram. Social media users apparently love this trend so much and can't get enough of it once a week that they decided to extend it into Friday. Flashback Friday is the equivalent of Throwback Thursday—but meant to be posted on Friday's with the accompanying #FlashbackFriday (or #FBF) hashtag. Believe it or not, there's a hashtag theme trend just like #TBT for every day of the week. Although they're not quite as popular, they still give you a great excuse to find more content ideas and post way more often. Check out this weekday Instagram hashtag article to find out what hashtag themes you can play around with from Monday to Friday, and even on weekends. Is There a Difference Between #TBT and #FBF?